Another of our Mrs. Alex. 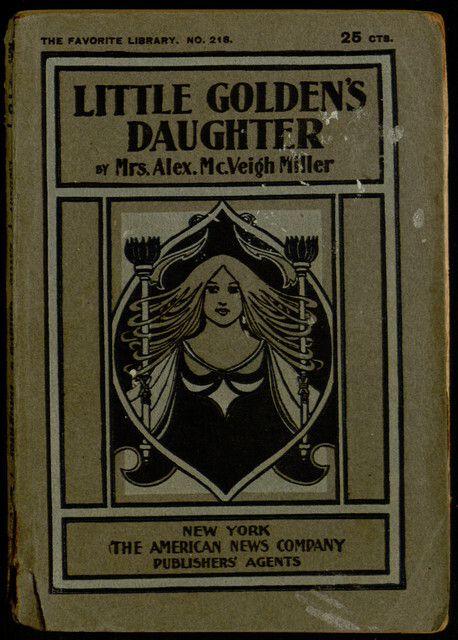 McVeigh Miller proofreading projects has been completed, and Little Golden’s Daughter is now available as an eBook. 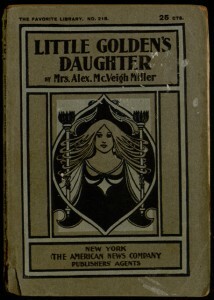 Many of Mrs. Miller’s works feature recurring themes, and this particular title uses a number of ideas that were subsequently recycled in the later, but rather similar, Dainty’s Cruel Rivals: a crumbling and allegedly haunted estate, a Cinderella theme, and (to the likely chagrin of modern-day readers) a stereotypical “black mammy” character in a prominent role. Neither Little Golden’s Daughter or Dainty’s Cruel Rivals can be counted among Mrs. Miller’s better works — newcomers are advised to sample The Bride of the Tomb first — but they still hold some interest for completists.